It’s that time of year again, time to unbury the boxes of holiday decorations hidden away in the attic. Many of us spend a great deal of time (and money) worrying about how best to decorate our home for our families and guests. This can cause excitement for some of us, and some stress for others. Part of the art of dressing up a home is a desire to create a warm, welcoming space that is unique for your family. This year, you may consider adding rustic DIY Christmas ornaments to the tree to add a familiar touch. 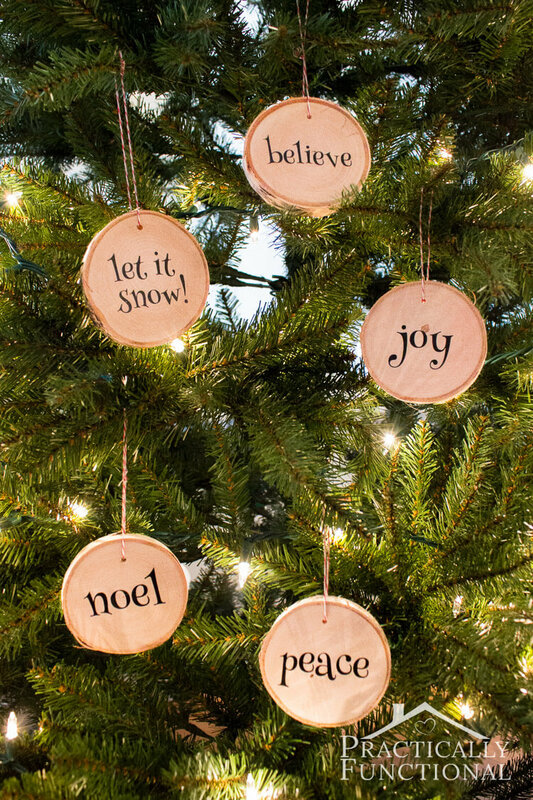 These embellishments can add an interesting element to your tree, and they’re fun to make. Decoration-making around the holidays can be a fun way to take some time to enjoy the spirit of this time of year. These trimmings can be an enjoyable activity for all skill levels and could be a perfect project for an afternoon with kids or friends. While the items in this post can be made with a few simple materials, they are sure to enhance the rustic feel and personality of your home. 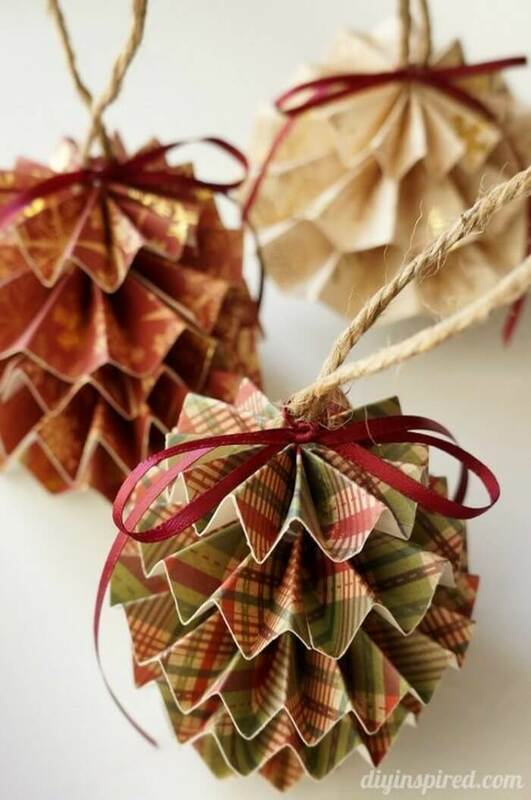 These fun decorations are a unique addition to rustic DIY Christmas ornament ideas. They provide a welcoming touch with a unique message and beautiful wood frame. 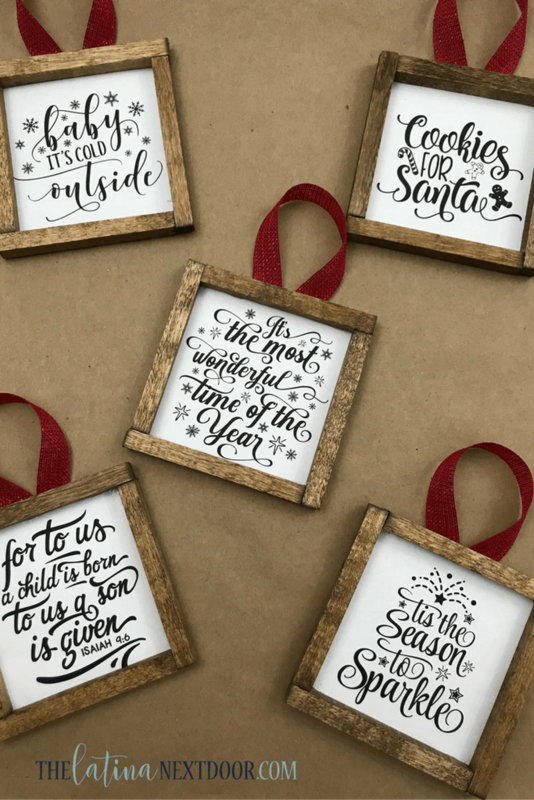 The addition of a quote adds a new dynamic to your home by providing additional sentiments about the holiday beyond the site of the decorations themselves. 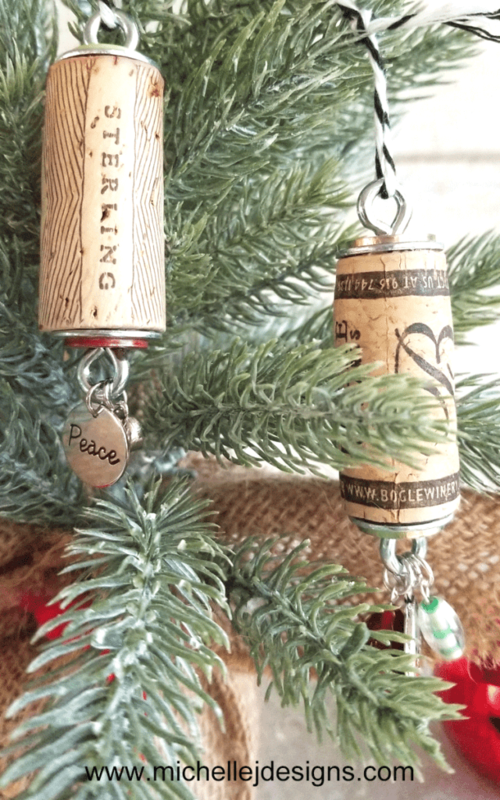 Bring some class to your decor with these elegant wine cork trimmings. We are always searching for ways to use those unneeded corks, and this may be a perfect solution! The addition of the metal pendant at the end of it adds a tasteful touch to these eye-pleasing decorations. We all know the importance of sweets around the holiday, so why not showcase them! These S’mores are sure to get people talking (and eating) and are sure to be a hit with the children. 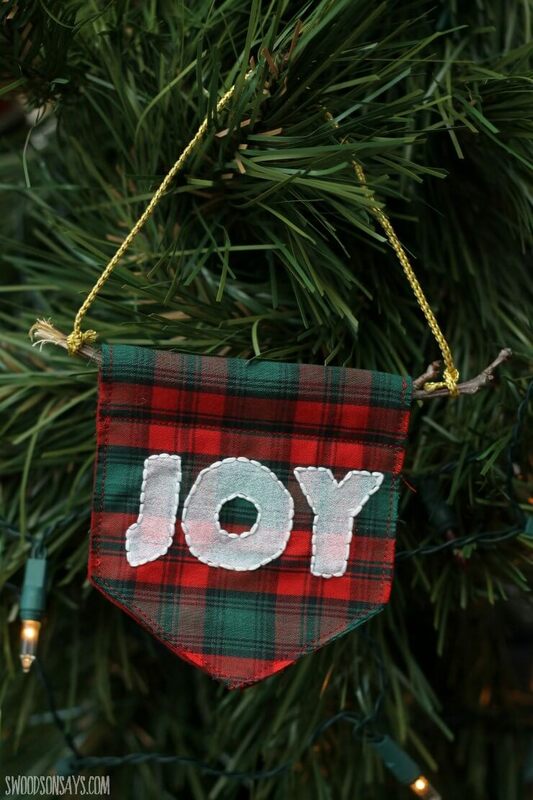 This rustic DIY Christmas Ornament idea is sure to create a welcoming atmosphere. This adornment is a comforting addition to any theme, as it can be incorporated into multiple color schemes and styles. It features a white polar bear looking at the observer. 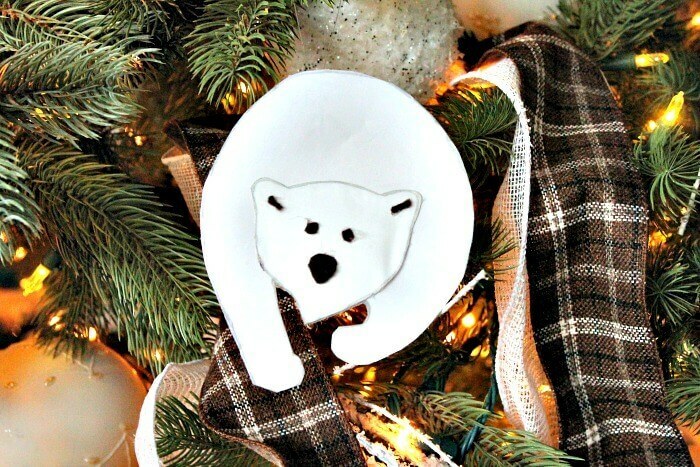 The polar bear adds character to the tree by displaying wildlife. Polar bears and other animals can be hard to find with commercial decorations, adding a nice touch. Wreaths are a common symbol of Christmas. Many of us hang one from our door or in other parts of the house. This ornament allows you to display your unique wreath style in a mini version on the tree. Choose your own color schemes to create a rustic look that meets your needs. What better rustic adornment than a mini tree! 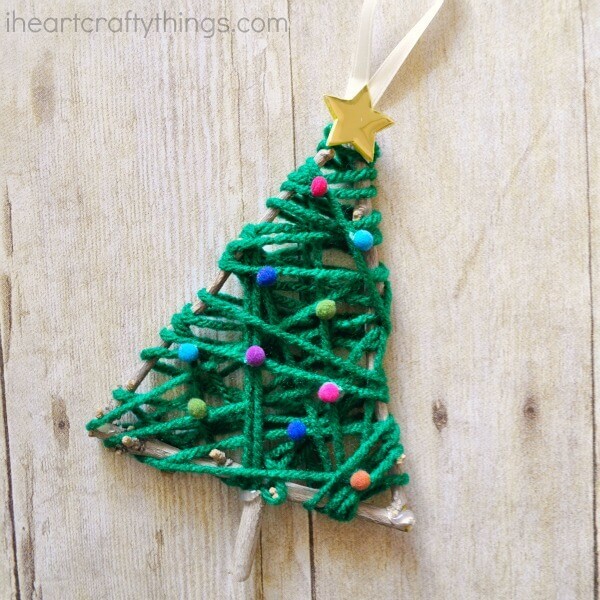 This DIY is designed with multiple green beads in the shape of pine tree branches. Brown beads are added to the trunk to complete the design with a tree trunk. 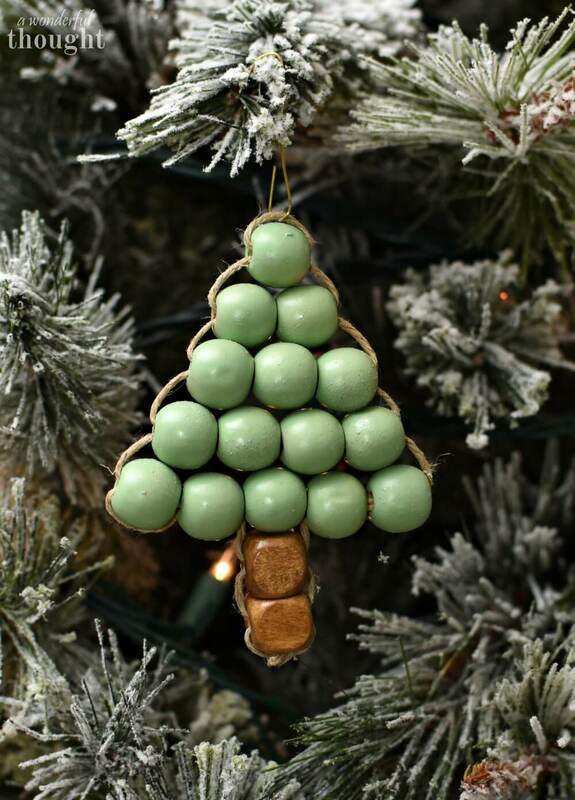 This adorable and creative item is an easy tree accent. The rustic style of this item truly creates a warm and comfortable look. It features a sphere surrounded by your choice of country fabric, held together by twine. In this way, it resembles a wrapped present, with a decorative bow (star) and tag. 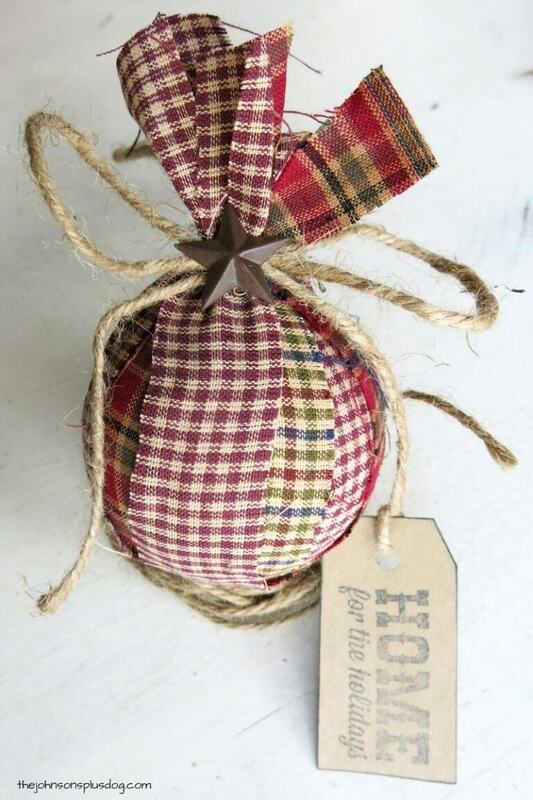 You are sure to get some compliments using this rustic DIY Christmas ornament idea. For this project, it is the texture, as opposed to the shape or object, which provides the country feeling. This decoration is a simple sphere bulb, covered in a delicate braided white cloth. It is adorned with a bright red ribbon to place it on the tree. The braided cloth look provides a more subtle take on a rustic decoration. 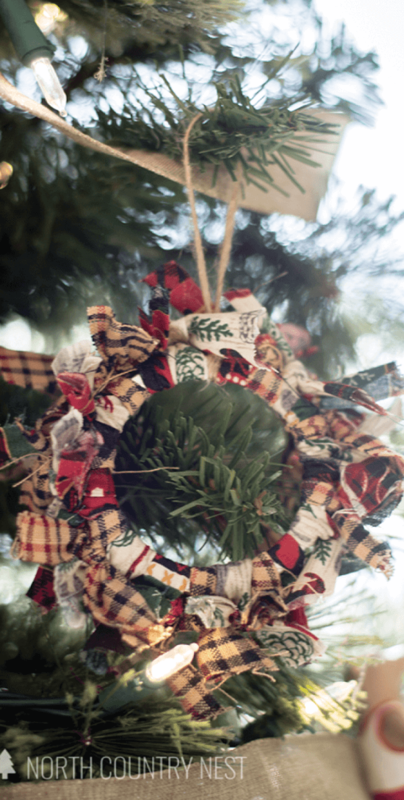 This beautiful decoration is made out of patterned paper, twine, and thin ribbon. It is a delicate embellishment for any rustic look and provides interesting patterns and texture for your unique look. The paper is pleated, providing additional depth that is sure to be a welcomed addition to your decorations. 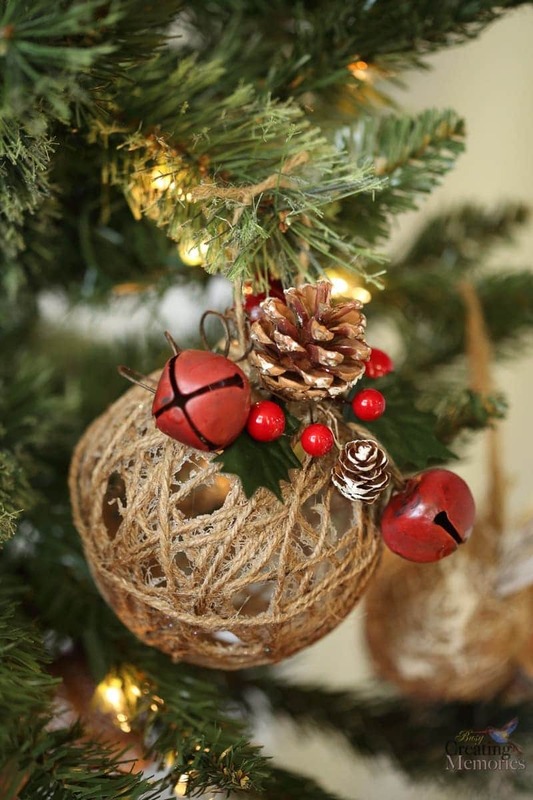 The twine ornament is an interesting, lightweight garnishing for your home. Trimmed with a small pinecone and a sprig of holly, this sphere appears to combine many great elements of Christmas. The jingle bells add an additional flair to attract the eyes (and ears) of guests. This interesting trimming would additionally make a fun gift for friends. The cubed shape of this decoration is sure to draw your eyes to it. The 6 sides of this stylish adornment provide multiple surfaces to express your creativity through words. Have a favorite Christmas quote or a favorite song? Showcase it on the decorative cube ornament! The sides are secured by twine to give it a rustic feel. We have all seen wood slices used in décor, for coasters, wall art, etc. So why not use wood slices for tree decor? These simple unfinished slices are a beautiful way to emphasize the assets of the tree. In addition, they can be easily customized to display holiday themed phrases. 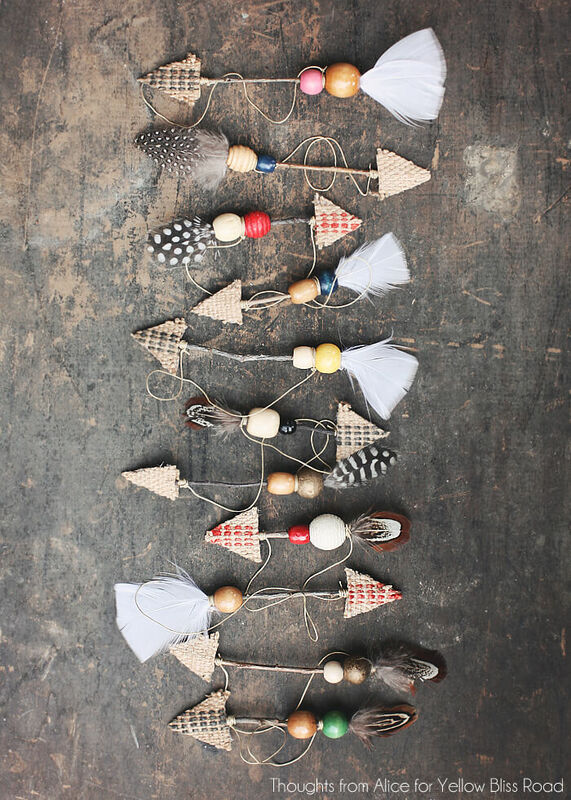 These tasteful twine angel decorations are another great way to bring a rustic touch to your tree. The rough twine contrasts beautifully against the thin wire or string wings. Brought together by two pieces of ribbon, these stylish decorations are a nice accent that will last for seasons to come. Have some great embroidery skills, or looking for a first project? These embroidered adornments could be a perfect idea to practice your embroidering. 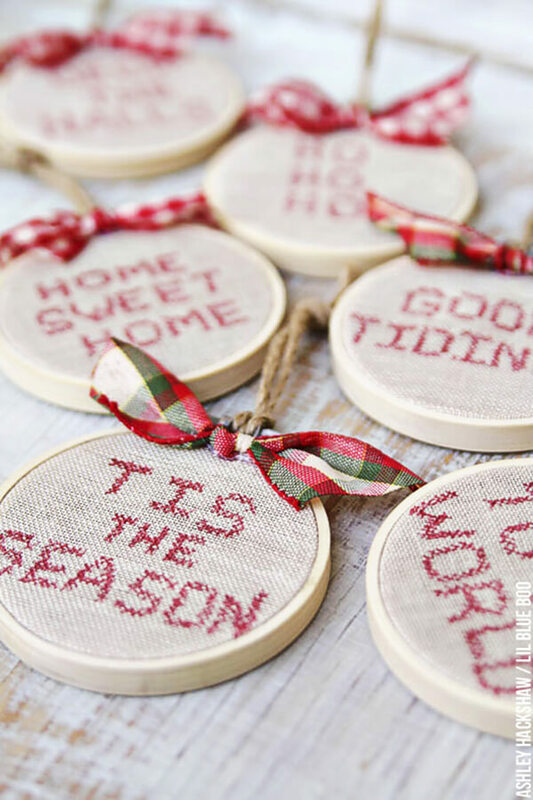 Embroidery in your decorations brings an element of the past into the present, almost reminding one of time spent at grandma’s house as a child. The embroidered element provides added meanings to the words chosen. 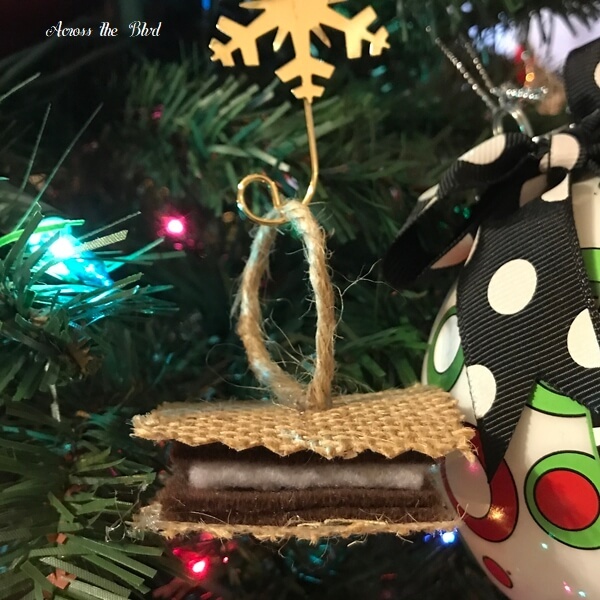 This rustic DIY Christmas ornament idea is a playful take on a well-known holiday animal, the reindeer. 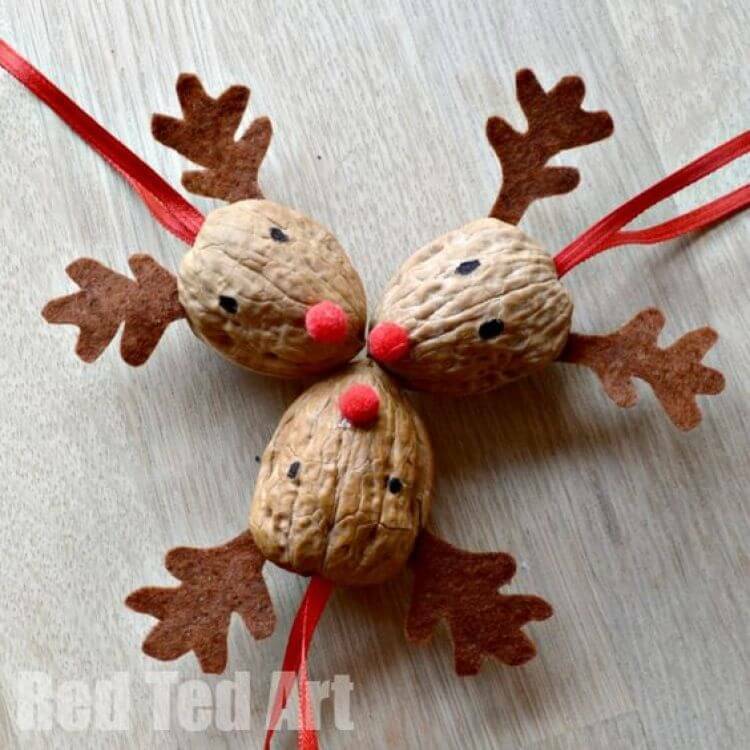 Three reindeer heads made of walnuts, with adorable construction papers ears and a red nose make up these reindeer. Children and adults alike are sure to appreciate the joyful addition. 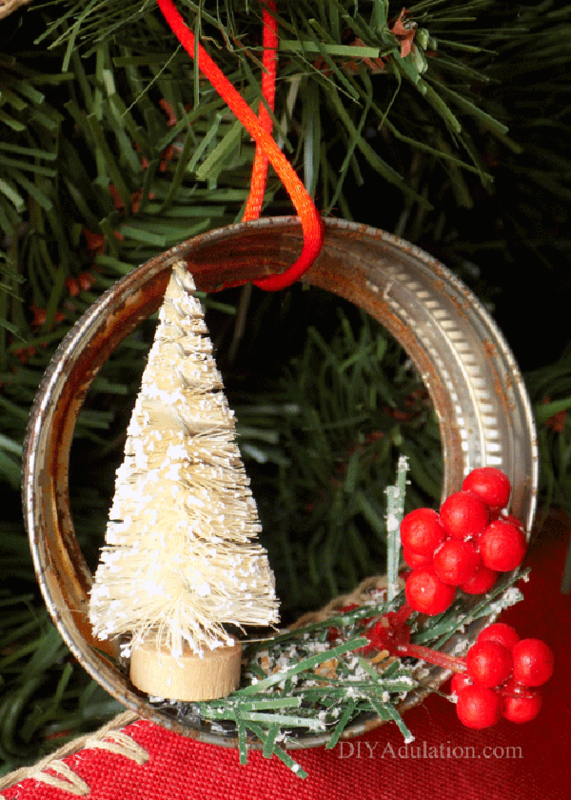 This adorable project utilizes a common Mason jar lid with holiday elements to create a rustic look. The rounded shape of the lid ring provides a container for the tree and holly to sit in, creating a picture-like effect. 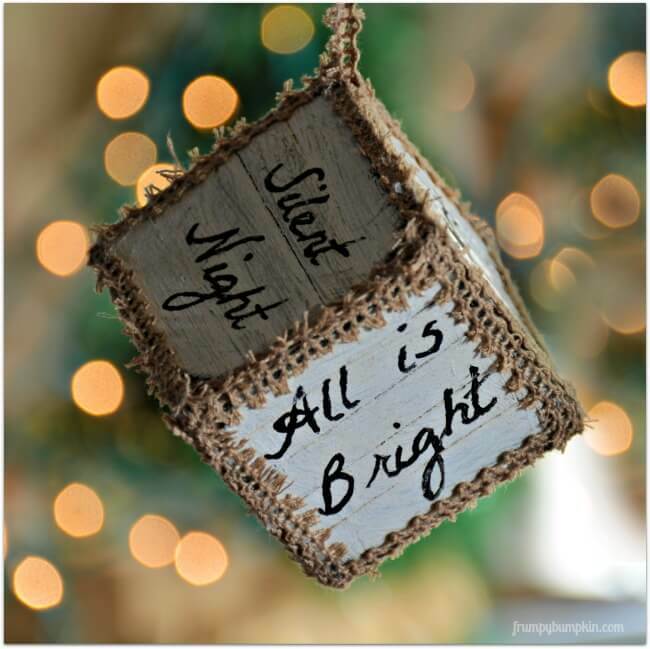 This adornment is a perfect addition to your decor as it provides a snapshot of Christmas time. 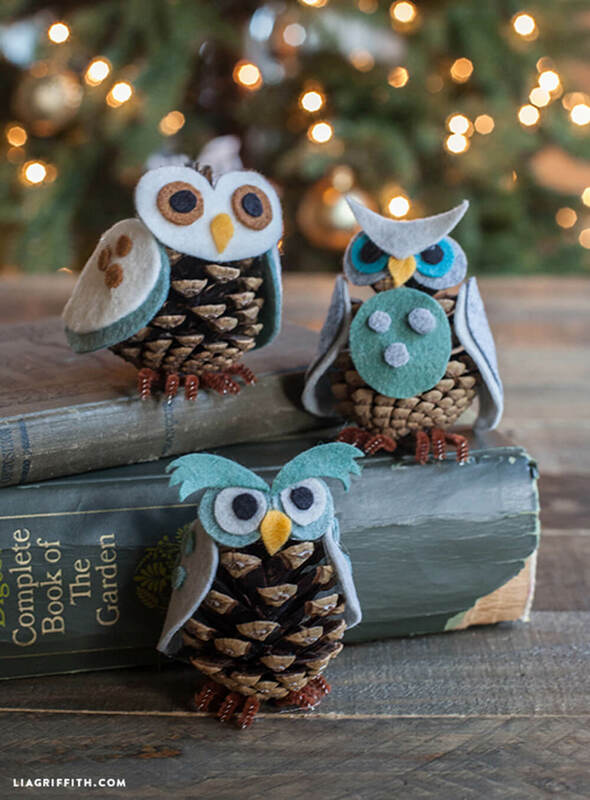 These owls are an adorable and creative way to make your decorations come alive! The small pinecone base provides a perfect shape for the owl, with pinecone scales appearing like feathers. Make a whole flock of them or just a couple for accents. This beauty has a lot of interesting textures and shapes that are sure to be a talking point of your decor. The use of a feather ensures that each arrow has a unique look, and uses natural beauty to create amazing designs. The beads and colored paper allow for endless possibilities to fit your rustic look. 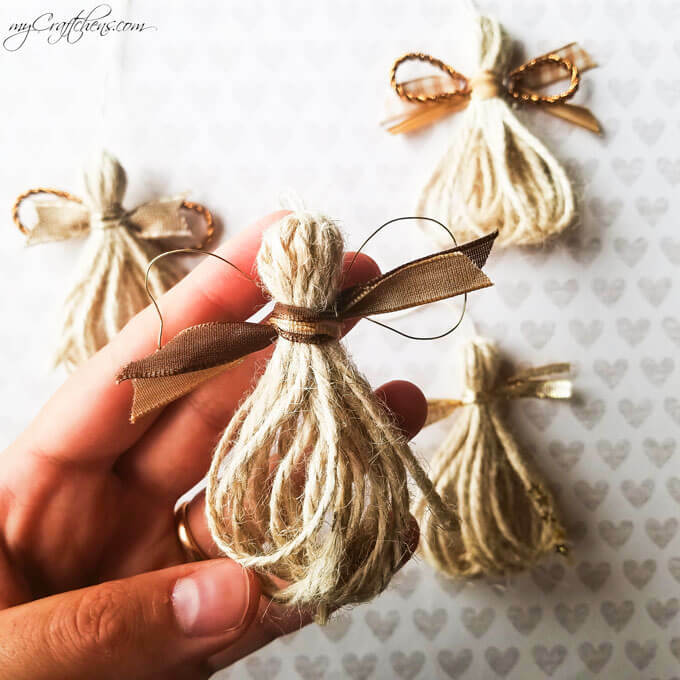 This rustic DIY Christmas ornament creates beauty out of a fun country material, burlap. The hand stitching of the two sides can be done easily in a short amount of time and makes for a finished-looking decoration. 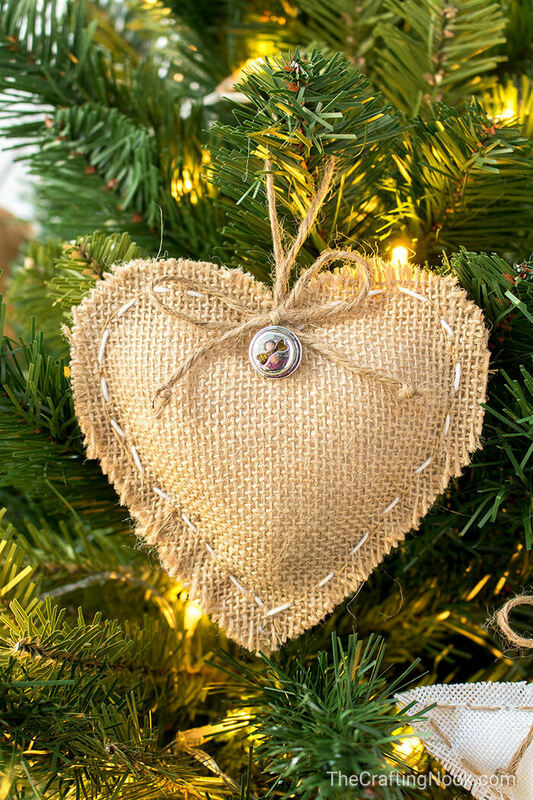 The heart shape reminds us that the holidays are a time for giving, a perfect reminder for a Christmas tree. This adorable trimming could be simply made with a few materials at home. Made out of yarn and some small pompoms, this adornment gets its shape from an underlying wood structure. 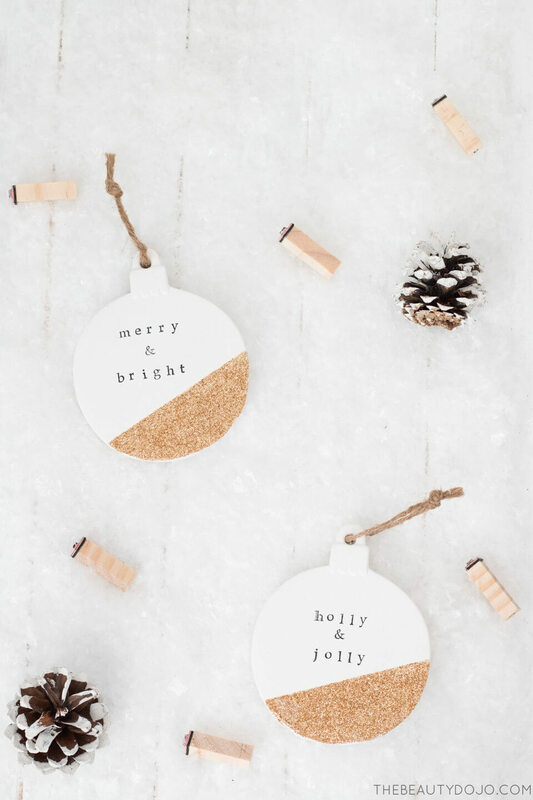 It’s a beautiful yet simple idea for a DIY ornament, but one that is sure to turn out awesome for your tree. 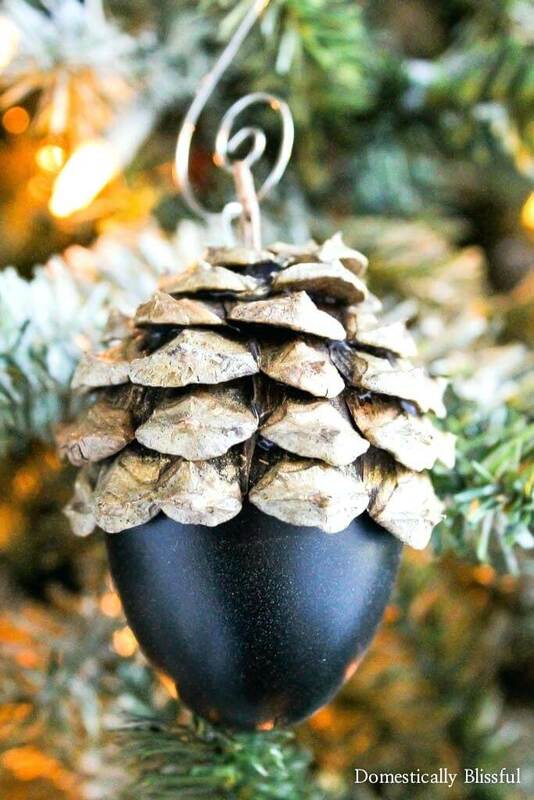 This lightweight ornament is a great idea for a nontraditional, flat, decoration for a Christmas tree. It provides a needed dynamic in contrast with the multiple round adornments that generally adorn a tree. An old holiday tablecloth or flannel shirt could be utilized for the fabric, and the addition of lettering brings additional interest. 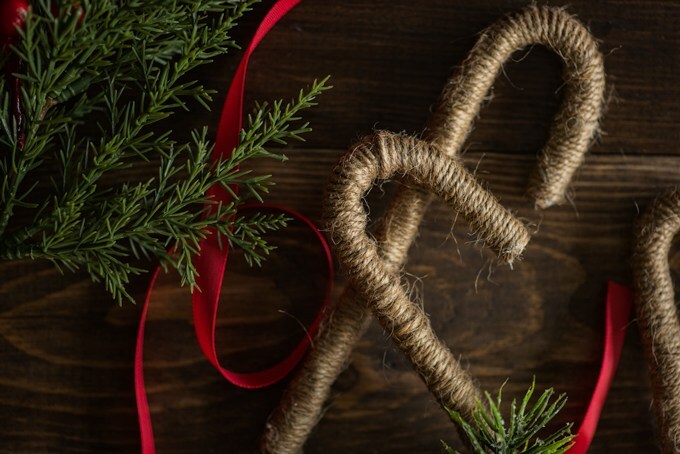 Twine rope gives this candy cane trimming a home-grown touch that makes it so appealing. While you obviously can’t eat this candy cane, its simplicity provides a comforting element to your home. 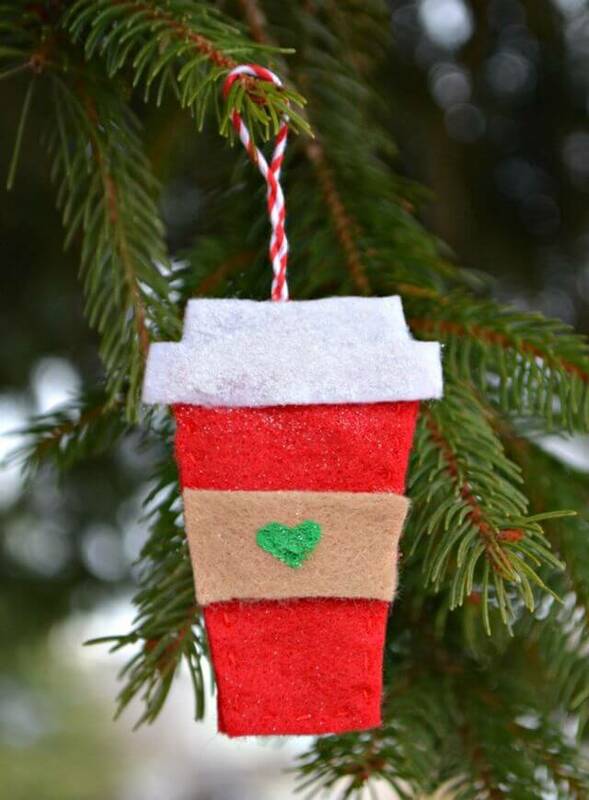 These would be a great first rustic DIY Christmas ornament idea to try for someone wanting simple accents. The real materials found in the project are not easily replicated in commercial decorations. The artistic combination of the pinecone cap with the black stone creates a unique look only found in nature. The best part, these two natural elements are combined to resemble another natural element, an acorn. Your friends are sure to commend your artistic eye. This tasteful design takes a new twist on the traditional conception of an ornament. 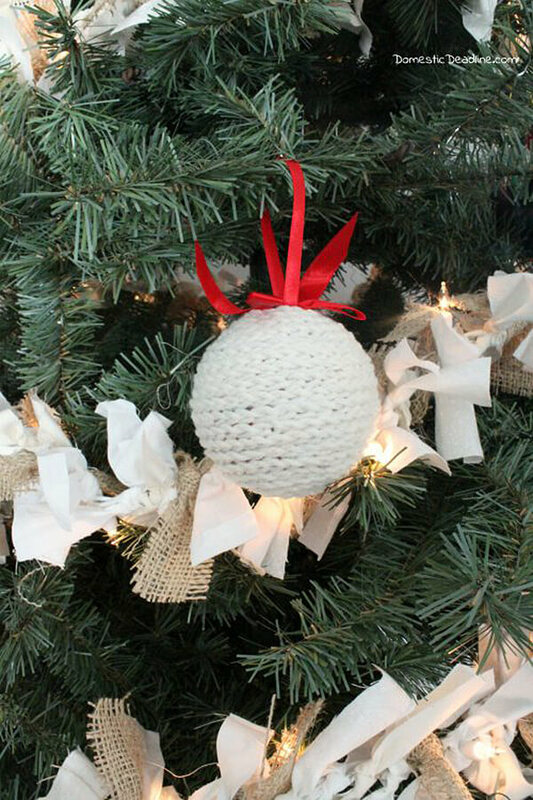 The flat bulb-shaped ornament is made of cork as opposed to traditional round plastic or glass. The paint dipped look gives it additional sass as it creates a writing surface for short quotes (and looks like its candy dipped). 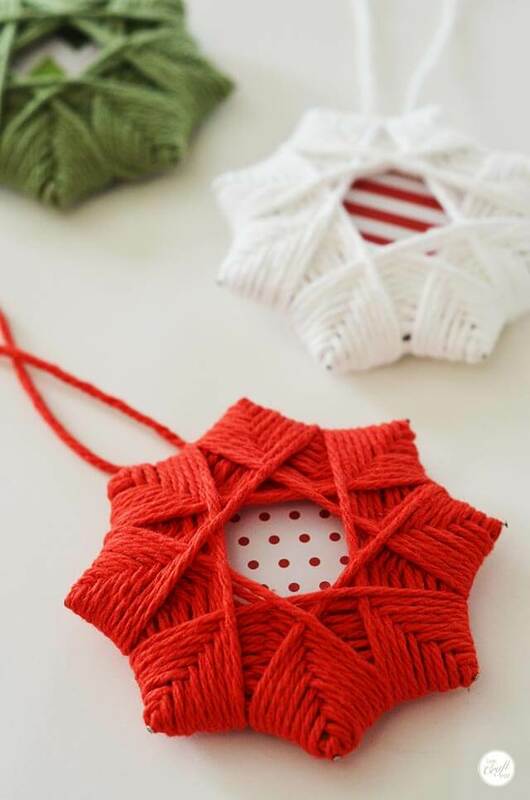 This simple yet rustic star can be fashioned in multiple colors to fit your color scheme. Stars are a common symbol used around the holidays, due to their religious significance. These creative items feature woven yarn around a star structure. Colored paper of your choosing, or even a photo, is featured in the center. Nothing is better than a cup of coffee or tea by the tree during the holiday season. This adornment is a reminder of the little joys in life. It reminds us to take time for ourselves during the Christmas season and to spread joy to others. This is a cute addition that provides a unique personality to your home.